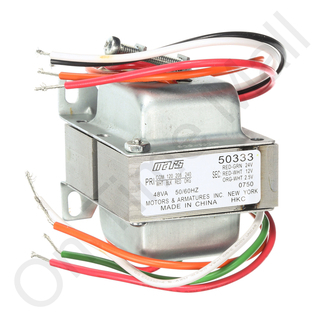 Multi voltage transformer for use with any humidifier or other device requiring 24 volts at 48VA. This multi-tap transformer can be powered up by 120, 208 or 240 volts. Its output is 24 volts and 48 VA. Replaces transformer part 156.